Decorating your home in a forest / woodlands style. Bring the woods into your forest themed decor using bits of the woods themselves. 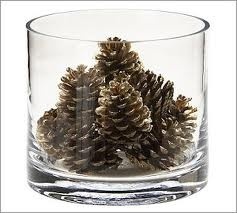 A pinecone here and there can subtly give you a sense of being in the forest. 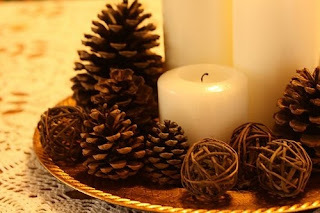 Pinecones are so plentiful in the woods, are long lasting and come in a variety of sizes.These woodland elements might be collected while rambling down tree shaded paths on an autumn afternoon, or purchased at a craft or garden store. 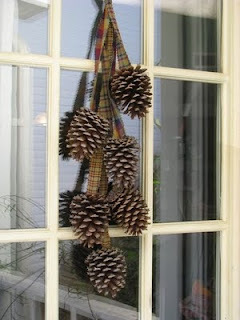 Creative home decorators can concoct all sorts of creative uses for pinecones... here are a few ideas. 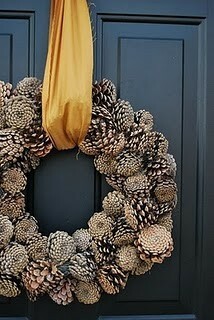 A pinecone wreath looks lovely hanging on a wall or welcoming visitors who approach your door. Alternatively, tie a few pinecones to pretty ribbons and hang them on a window or wall. 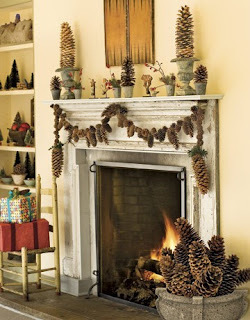 Pinecones arranged around a grouping of pillar candles make a fetching centerpiece. Place pinecones in glass bowl or a wicker basket for a casual table decoration. Place a large pinecone in a small flower pot, then place it on the fireplace mantel. 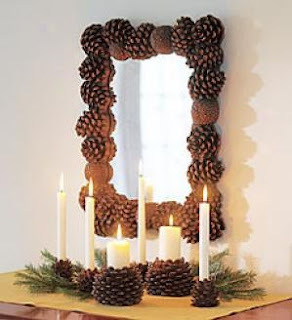 Hot glue pinecones around the frame of a mirror or woodland themed artwork.